One of the major barriers to healthy eating is not knowing how to prepare healthy food at home. I was lucky enough to take home economics at school. Sadly, however, cooking classes are rare in schools nowadays. That is why I am determined to teach my children the basics of food preparation. I want them to have the confidence to put together a basic, healthy meal. And in my book, it is never too soon to start. 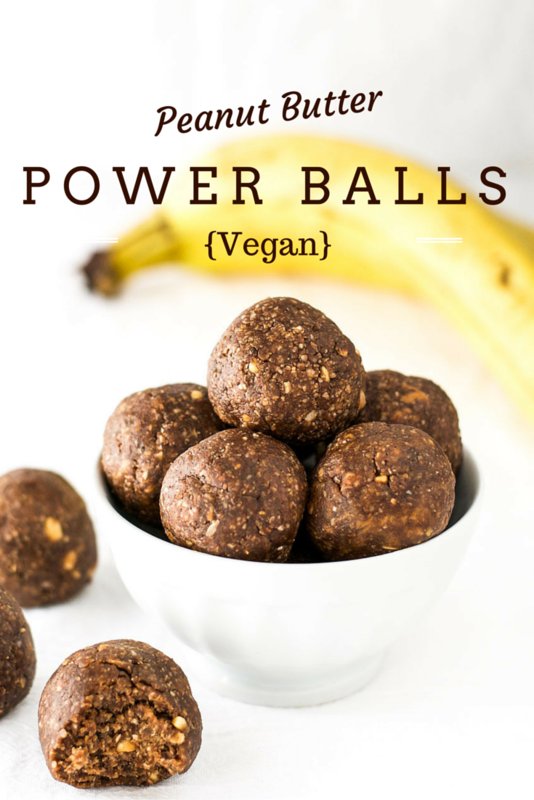 That is where this recipe for peanut butter power balls came from. I wanted to create a recipe that I could make with my 2 year old. It had to be simple, with lots of measuring and stirring, but no need for precision. I once tried to make a delicate and intricate sponge cake with my 5 year old for my birthday. I learned my lesson when I nearly gagged on my own cake. Thankfully, this recipe is extremely easy to put together. It doesn’t matter if your 2 year old decides to throw in an extra teaspoon of chia seeds. And because the balls don’t need baking, there is no need to spend 15 minutes trying to explain patience to your screaming toddler. If you are sitting there thinking that this recipe is not for you because you are a grown up, think again. 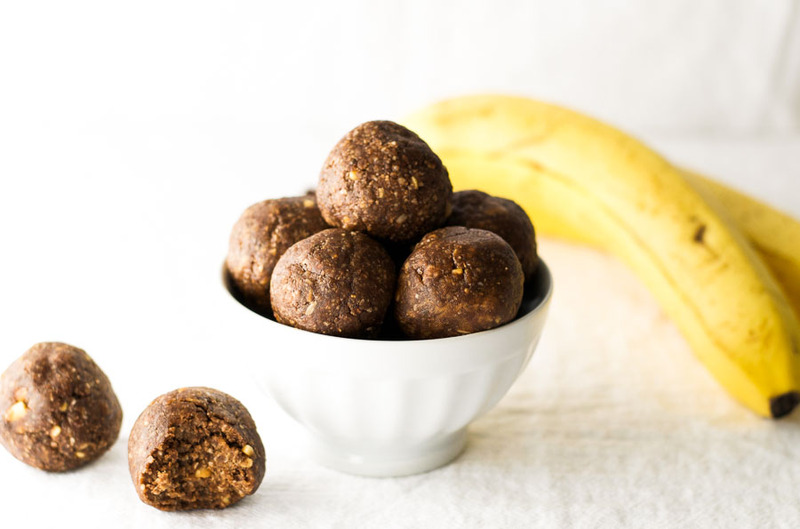 These peanut butter power balls are gooey, chocolatey, protein-filled balls of deliciousness that are the perfect accompaniment to your morning coffee or your afternoon cup of tea. They are only 120 calories a piece, and they contain around 10% of your daily fiber and iron needs. There really is no excuse for passing up on this delicious recipe, whatever your age or culinary ability. In a large bowl, mash the banana with a fork. 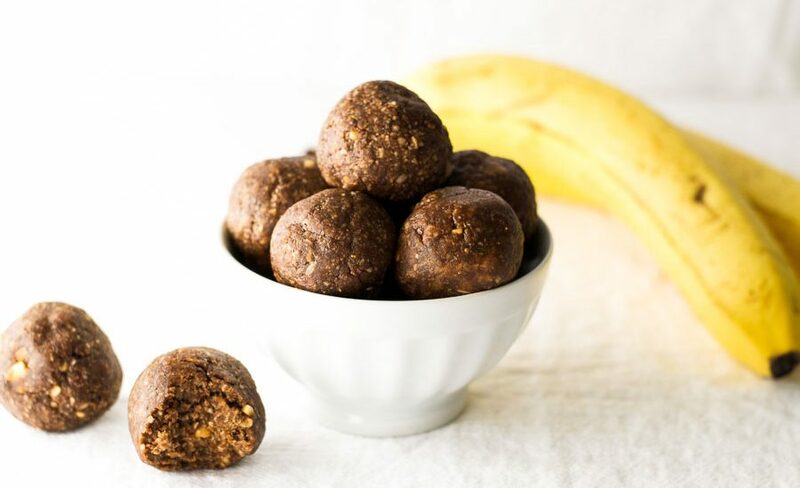 Add the chia seeds, cocoa powder, maple syrup, oats, and coconut to the banana and mix well. Add the peanut butter to the mixture and stir well until all ingredients are combined. Roll into golf ball size balls and enjoy. Thanks for your inspiring recipes. Thank you Rachel 🙂 I hope you enjoy them. 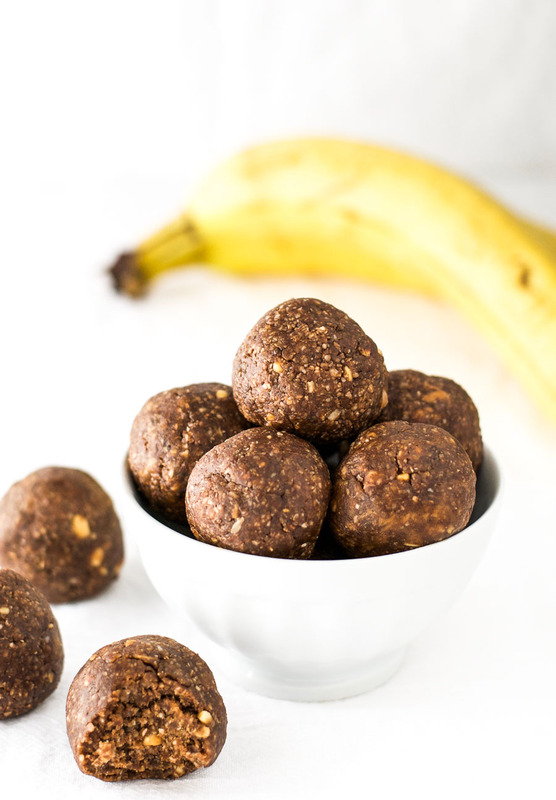 Great idea for a healthy snack! 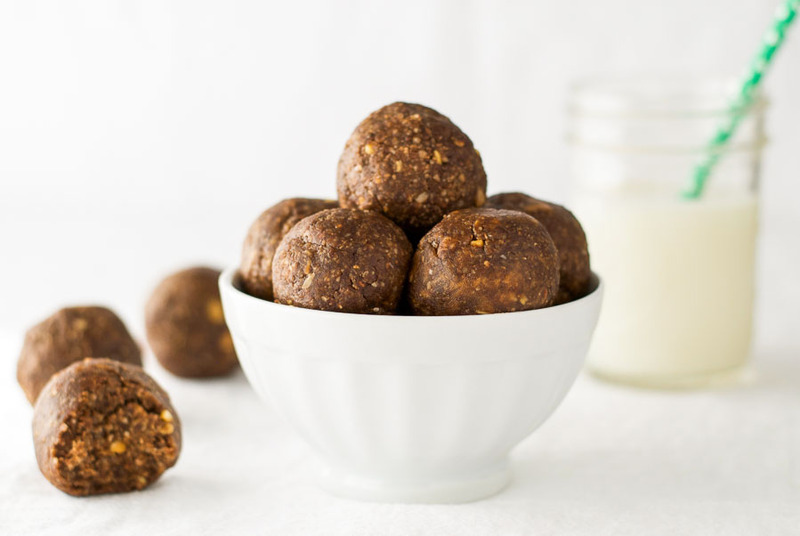 They taste amazing – the shredded coconut is genius. Can they be made into other shapes?